Michael McIntosh, Senior Search Architect, TNR Global, will be presenting at the NYC Search and Discovery Meetup on January 20, 2010, 6:30pm. The topic of his presentation is Search Engine Integration, Deployment and Scaling in the Cloud. 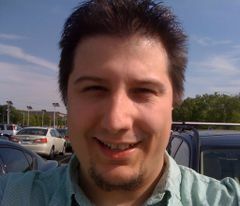 Michael will share his hands-on experience with implementing an enterprise search system in the cloud. Come join!